Want to be a sales master? This is how you learn to sit still, bang the phone, and master the call. 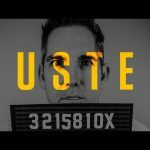 Grant Cardone is a New York Times bestselling author, the #1 sales trainer in the world, and an internationally renowned speaker on leadership, real estate investing, entrepreneurship, social media, and finance. His 5 privately held companies have annual revenues exceeding 0 million. 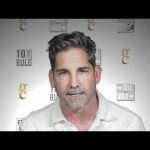 Forbes named Mr. Cardone #1 of the “25 Marketing Influencers to Watch in 2017”. Grant’s straight-shooting viewpoints on the economy, the middle class, and business have made him a valuable resource for media seeking commentary and insights on real topics that matter. He regularly appears on Fox News, Fox Business, CNBC, and MSNBC, and writes for Forbes, Success Magazine, Business Insider, Entrepreneur.com, and the Huffington Post. He urges his followers and clients to make success their duty, responsibility, and obligation. He currently resides in South Florida with his wife and two daughters. 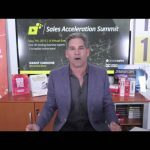 5 Responses to "Phone Sales Training Live Sales Calls With Grant Cardone"
I see that Grant, as a business owner, has a way he wants things done his way. He sees people getting off track of the process and has to make sure he gets them back on the process. I like it. The sales sounded scripted and hurried. I subscribe to making a sales call conversational in which you diffuse any defense from the customer. Also I always call with a solution to “what I think may be the customer’s issue” which I consider a “hook” I used this technique while selling advertising for a radio station and was top new business producer. 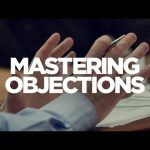 I now train sales people solution based sales techniques.Although Grant does have a good technique in asking the prospect two important questions of why the hesitation by the prospect in another training video he does.